Verfasst von difficult music am 15. Oktober 2018 - 14:45. Two organizers of the papiripar-festival are today's guests: Florian Bräunlich and Felix Kubin. 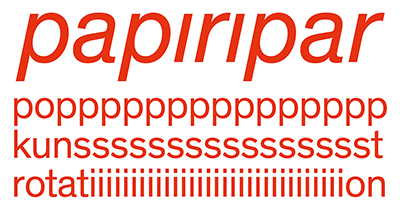 papiripar is a quasi-palindromic propeller that diffuses the boundaries between image, sound and word. Boundaries become blurred and complex patterns evolve. The symmetry stumbles over its own mirror axis. papiripar will take place for the first time in October of 2018. The festival is dedicated to conceptual and progressive approaches to pop music and its intersection with art, film and performance.